A guide for those who prefer staying in with Mom on Mother’s Day and treating yourselves to a DIY spa day. Sometimes the best gift you can give is time. This Mother’s Day, how about testing out all the popular beauty DIY that you’ve always wanted to try–with mom? We’ve put together a list of just a few of the most popular beauty DIY we’ve seen some of our favourite beauty bloggers and YouTubers use. The best part is that most of the ingredients can easily be found at home right in your kitchen. There’s no way you’ll be able to resist making some of these delicious beauty treatments and your skin will thank you for it! Now it’s time for some hair repair. No matter your hair type or texture, this honey hair mask will restore your hair and add a great healthy shine to it. Mix the coconut oil and honey together. You may need to warm them up a bit by putting them in the microwave for 30 seconds so you can thoroughly mix them together. Add in the yogurt and stir till you get a nice creamy blend. Apply the mask all over your hair and let it sit for 30 minutes before washing it out. Yogurt has lactic acid in it which can really help exfoliate the dead skin cells from your scalp, allowing your scalp to breathe and grow your hair much faster. It also provides a good moisturizer for the hair which is great for getting rid of dull dry hair. See the full video here for more tips! 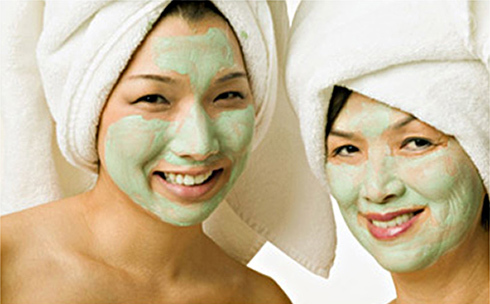 This face mask is great for those who have acne-prone skin, and those just looking to have firmer skin. Mix the ingredients together in a bowl, then apply to skin and let the mixture sit for 10-15 minutes before rinsing it off. Nutmeg is great for keeping blemishes away, while the milk will exfoliate the skin and honey will help heal it. Check out more details from the video! Now that we’re finally getting out of the winter season, it’s time to say goodbye to chapped, rough, and peeling lips. This DIY exfoliating lip scrub with just two ingredients will get rid of dead skin and leave your lips feeling smooth and lipstick-ready. Mix the brown sugar and gradually add in the honey until the mixture begins to stick together to form your desired consistency. You can use olive oil instead of honey if you prefer a less sticky mix. Gently apply the lip scrub in circular movements then let it sit for a minute or so before rinsing it off and finally applying lip balm. Store in a small container and use once a week for the softest results! Try out this delicious and edible chocolate body scrub! It’s a fact that everyone (moms especially) loves chocolate, so what better way to treat her? First mix the sugar and cocoa powder together in a bowl, then gradually add in the coconut oil, or oil of your choice, and stir the ingredients together until it forms a paste. Store your body scrub in an airtight container until next time. Beauty Bonus! You can always add in a few drops of your favourite essential oil just for an added zest. With warm weather just around the corner it’s time to get your feet summer ready. Our moms spend all day on their feet working hard for us so it’s time to treat her feet with a delicious sugar foot scrub. Mix both ingredients and you’re ready to go! Rub the scrub into your feet then rinse and pat dry with a towel. 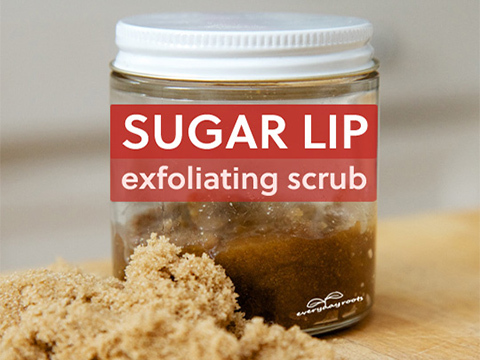 The sugar makes a great exfoliator to scrub away dead skin and the oil will soften and moisturize your feet. Beauty Bonus! Use a pumice stone to rub in the sugar scrub to really tackle those rough spots! Find more DIY’s on Pretty Gossip! 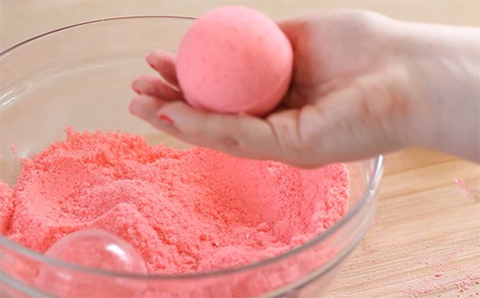 End the day off with a bang by making your very own bath bomb! A nice bath is a great way to relax after a long day, and depending on which essential oil you use, a bath bomb can double as aromatherapy too! Combine all the dry ingredients together in one bowl and evenly mix together. It’s very important that you get the mixture to be as fine as possible so it’ll make it easier when adding in the liquid ingredients. In another container, mix together all the liquid ingredients, and don’t forget to add in the food colouring. Then slowly add the liquid mixture to the dry mix. Beauty Bonus! Instead of using a bath bomb mold,use a muffin tin. Pack the mixture into muffin tins to create the form of the bath bomb and let them sit.